Mobile Games – APEX pro gaming a.s.
With the quick progression in tablet technology (e.g. iPads), APEX gaming believes that the online gaming future lies in mobile gaming.This marketing research has paid off in a great entertaining app that offers five exciting APEX games. Choose your favourite game from Legend of the Sphinx, American Hot Slot, Red Hot Fruits, Ocean Tale and Sealed with a Kiss. These are free games. The target audience for APEX games has greatly been expanded as the app is free to download as well (both for Apple and Android-based devices). Each game has two screens. The game screen is shown as standard. Scrolling up gives detailed information on the win table, including explanations on the scatter. For example, on Sealed with a Kiss, the upper screen also explains that if two seals meet and kiss that this generates a prize multiplier. The view of the upper screen can be scaled to your preference by moving two fingers together or apart when placed on the screen. Each game has a maximum of 25 lines to bet on. Furthermore, the bet amount can be altered between 25 and 2500 credits. Pressing on either sides releases the program to alter the lines and / or credits. Use the slider, moving your finger up and down to alter these as required. Press the spin button to return to the game. The autostart on the game screen is triggered by keeping your finger on the spin button. The autoplay feature automatically appears. Keep your finger on the start button until the green bar is completely loaded. You can leave the autospin modus by pressing the spin button. The number of lines bet and credit are portrayed in bold for the lines and gold for the coins to signify the chosen amounts. They are also shown on the bet line at the bottom of the screen. When you win, the winning line(s) is (are) highlighted. Wins can be gambled. You are given the choice of ‘collect’ or ‘gamble’. Pressing ‘collect’ means that the complete win goes to credit. Pressing ‘gamble’ enters into the card gamble feature. You bet on the colour of the next card – either red or black. The previous five card bets are shown above this for your orientation. You can choose to bet all or bet half. Pressing on ‘Take Half’ will place half the win to credit and you will gamble the other half. As the bet is 50-50, any won gamble doubles the win. This is a fantastic tool for operators to inform users where they can find APEX land-based solutions. More and more people are mobile nowadays – whether for business or private reasons. 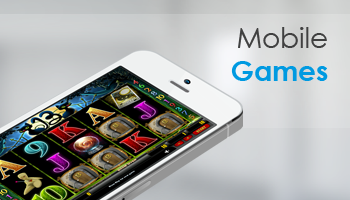 Users of the APEX Magic Mobile app may wish to play on the games with stakes and prizes. Pressing the ‘Find APEX’ button shows the user where the nearest land-based APEX gaming machines are. This tool is completely free for operators. Please inform your local APEX sales contact and your arcade / casino address will be added to ‘Find APEX’. Or even more simple: press the ‘About’ button, then the ‘Contact us’ button – an email opens up automatically. Just tell us your arcade / casino / location where your APEX gaming machines are situated and we will add this data to our ‘Find APEX’ feature free of charge. Furthermore, players can easily check where the next land-based APEX gaming machines are sited.